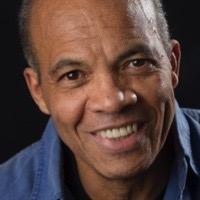 John Edgar Wideman’s books include American Histories, Writing to Save a Life, Philadelphia Fire, Brothers and Keepers, Fatheralong, Hoop Dreams, and Sent for You Yesterday. He is a MacArthur Fellow, has won the PEN/Faulkner Award twice, and has twice been a finalist for the National Book Critics Circle Award and National Book Award. He divides his time between New York and France.